Yeaaaah! The time has come and from the first of july 2011 to 20 of july 2011 the Tank will be transformed to an exhibition Jordboer´s Verden which in english means The World Of The Planet Earth´s Citizen. 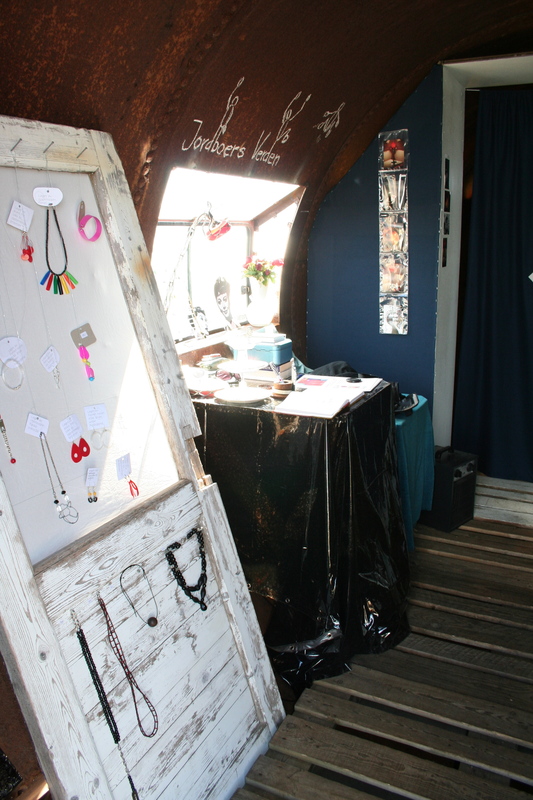 There you can see the lampdesign from Michal Peceny and Kari Sørbø Jonsson accompanied with the handcrafted jewelery from Stine Irgens and Kari Sørbø Jonsson. I have to begin with these words: what en event!! The idea of opening a gallery has been on my mind for quite a long time. I originally planned for the gallery to open in the summer of 2010, but for various reasons it didn´t – and that was all right. 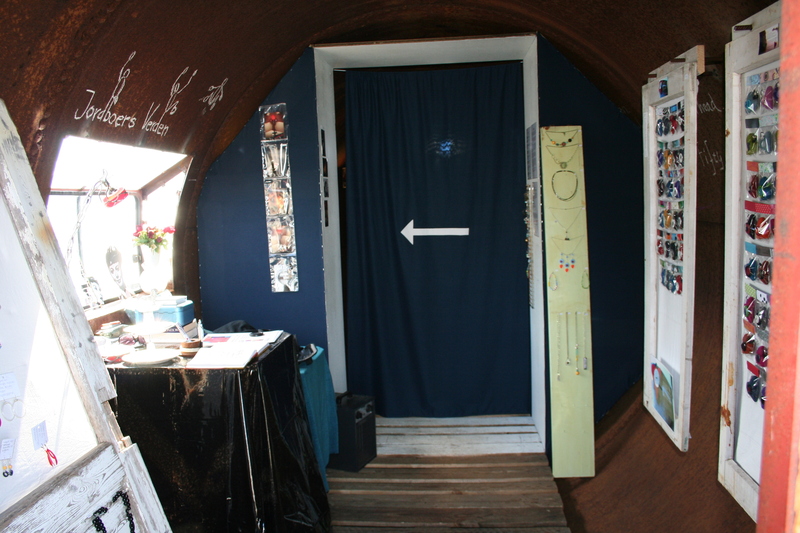 We – Kari, Marit, Stine and Michal – managed to open the gallery right on time, on July 1st. We were completely exhausted, but it was worth it. I named the exhibition in the Tank “Jordboers Verden” – literally translated it means something like: “The world of the citizen of planet Earth”. I like to think of myself as a Jordboer (citizen of the Earth) – in this way reflecting my idea about the world we live in as transnational. To me, that means that no matter where you come from, what language you speak and what status in the society you have – in the end we are all human beings, walking this beautiful planet called Earth. I try to live my life inspired by this view of our world, and I wanted this exhibition to be created from that same place of inspiration. 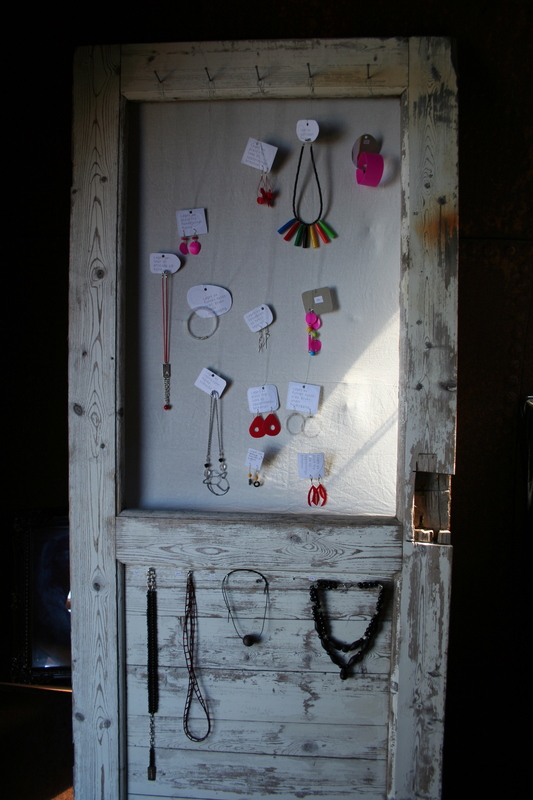 On July 1st, around 50 people came to the opening of our gallery. The whole event was everything we hoped for and much more! It became a night to remember; beautiful weather, beautiful people – and, in our opinion, an extraordinary cool gallery. 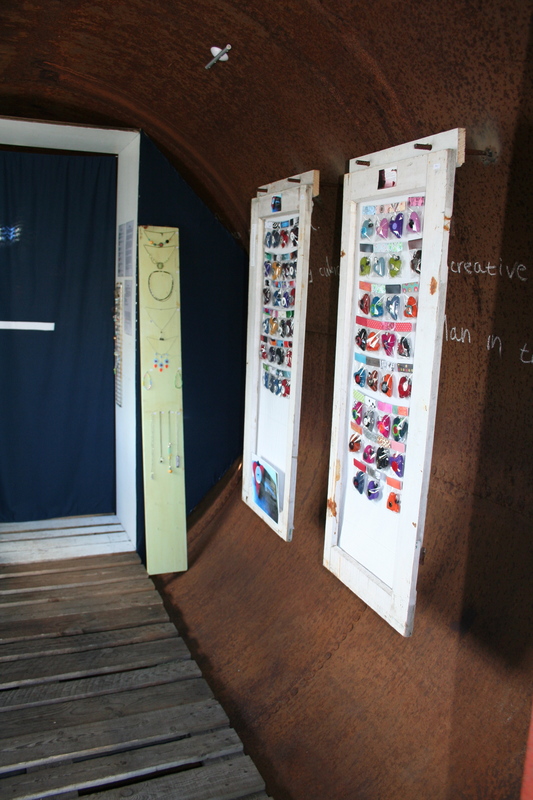 The gallery was divided in two sections. 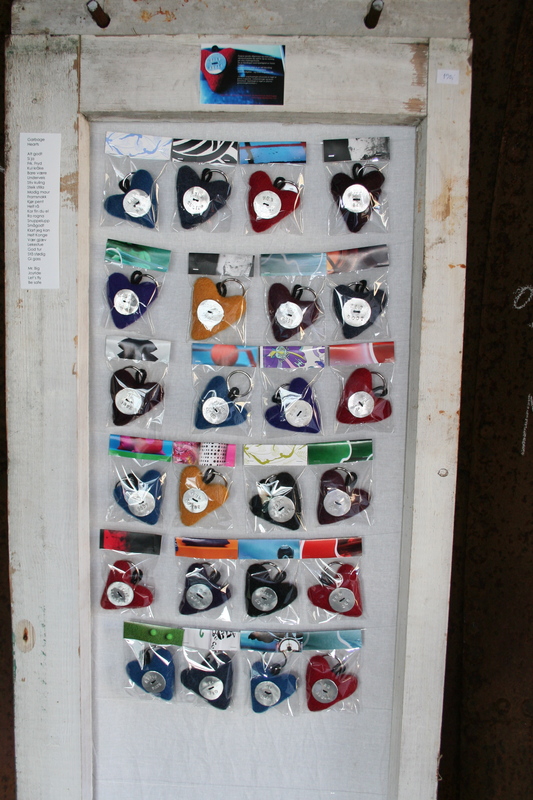 An entrance part displayed works made by Stine Irgens (jewlery made from garbage) and Kari S.Jonsson (handcrafts and “Garbage Hearts” keyrings). 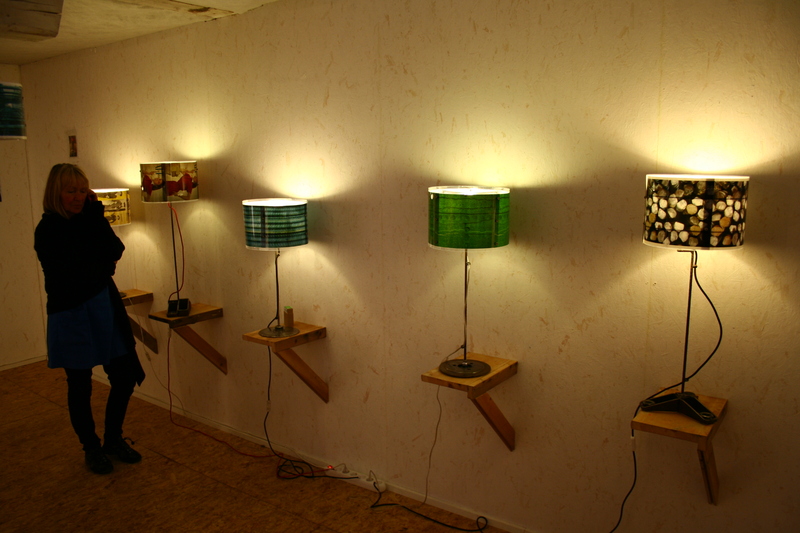 The second part was a showroom for Michal´s “GarbageLight ” collection 2011; 6 table lamps and 2 hanging lamps. 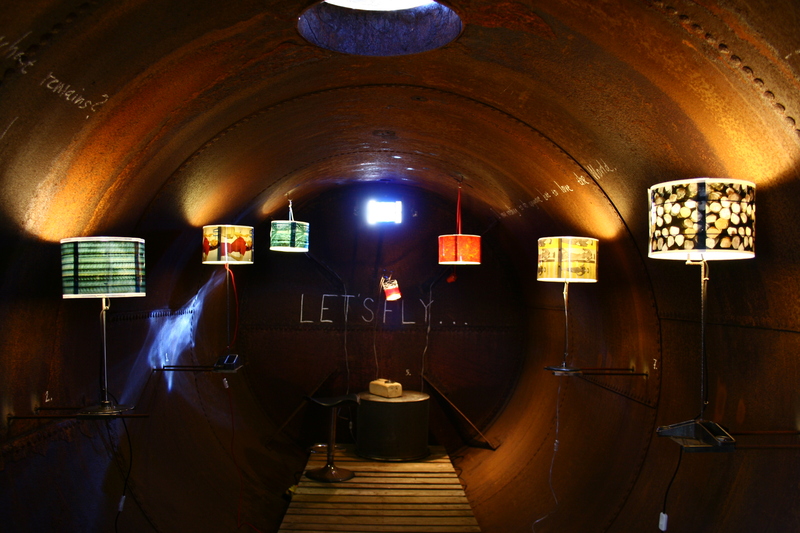 The whole installation was open for the public nearly three weeks, and during this period we had 700 visitors. 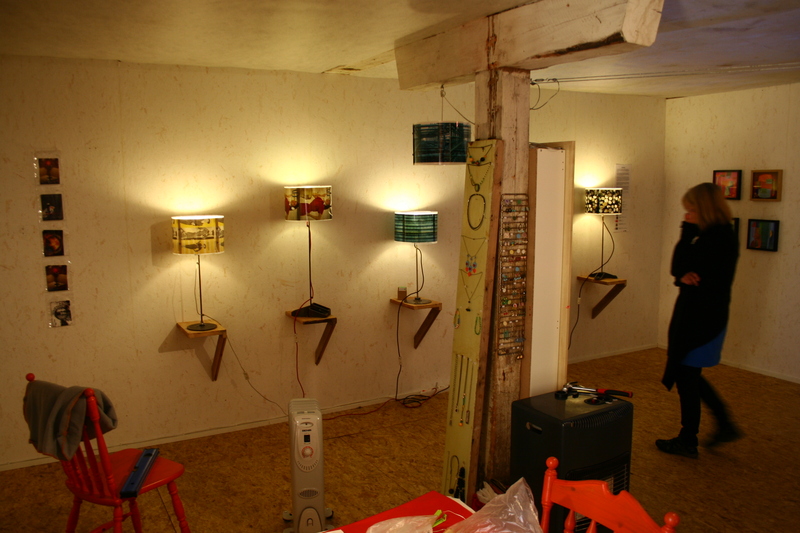 After closing the Tank, Gallery 8439 in Nyksund showed Michal´s lamp collection and Kari and Stine´s art for another 2 weeks. 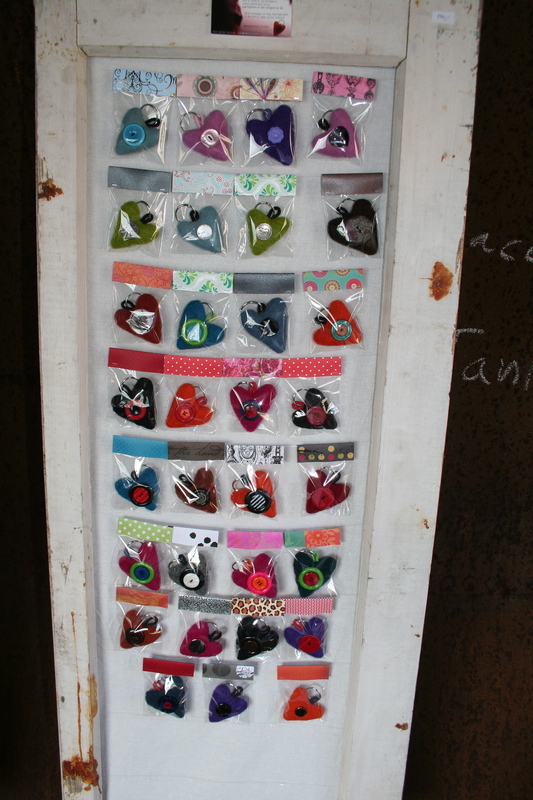 The feedback from our visitors has been so positive and genuinely enthusiastic. Truly wonderful and quite amazing for all of us involved in this years Gallery! We carry within us the whole, fantastic experience – it gives fuel and power to continue with the development of new projects in Gallery & Workshop Tanken. Maja is a musician and soundartist from Sortland (North Norway). She has recieved several awards for her work, and has during the last 10 years been involved in many different projects as a musician, performance artist and composer. In 2009 she won the Norwegian national award “Gullsekken” for best project in “Den kulturelle skolesekken”. 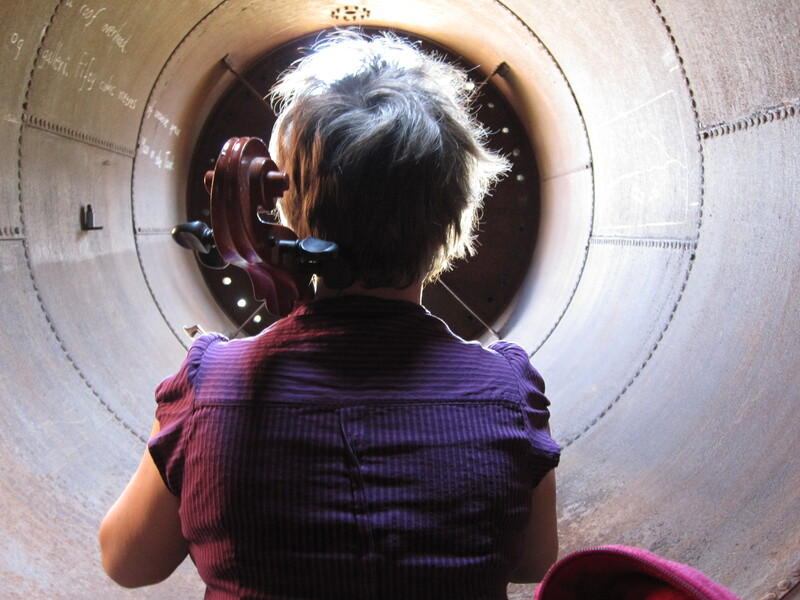 In 2006 she recieved a yearly work scholarship from the Norwegian State Artist Scholarship Foundation. In 2006 she was elected “young artist of the year” in “Festspillene i Nord-Norge”. 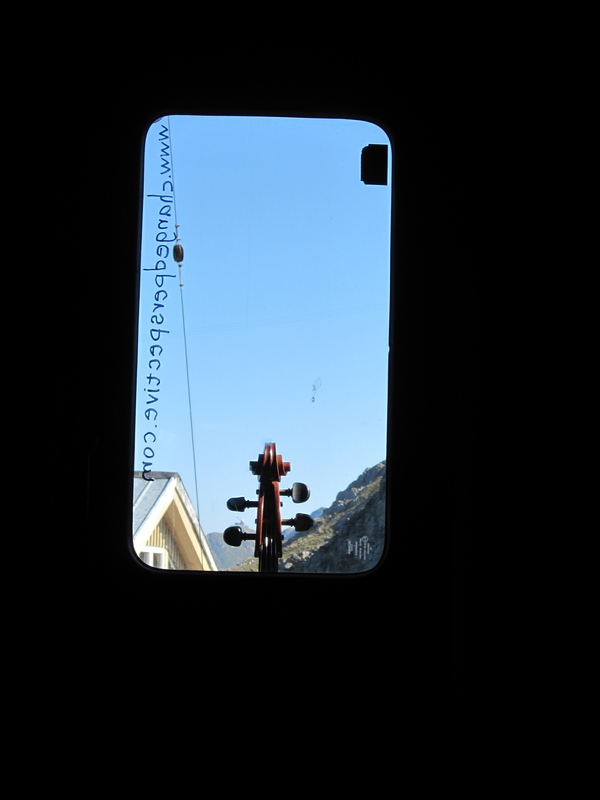 The idea of making a record for cello and Tank was born when Maja visited Nyksund in 2009. 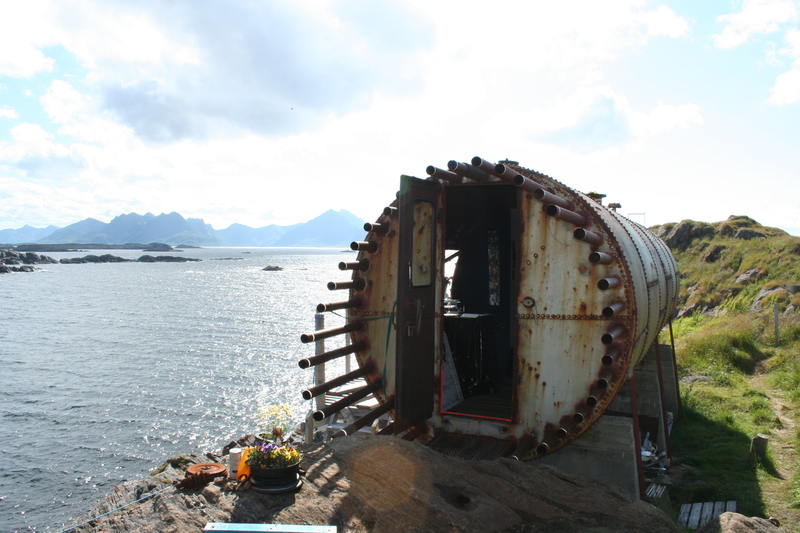 Maja has since then been to Nyksund twice to try out her ideas and play with the sound and the energy of the Tank. In the first week of June 2011, she is here with her producer Frode – finally recording her music. 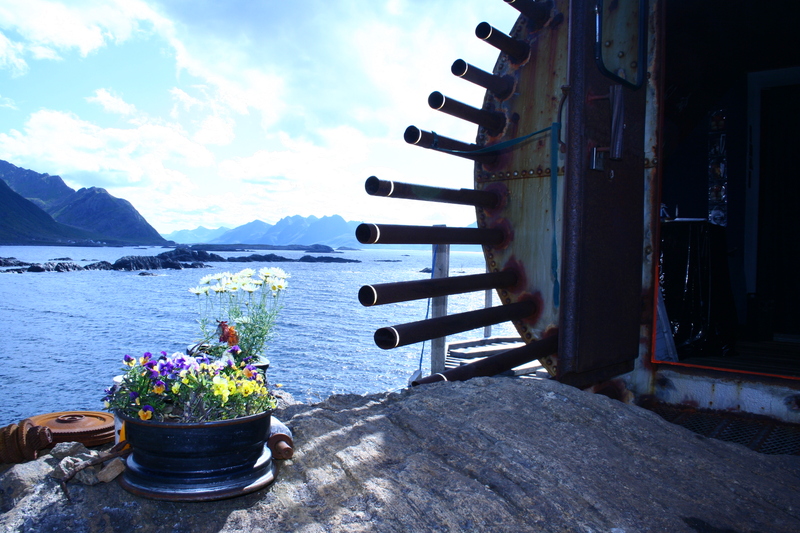 The record will be released spring 2012, and we have plans for a “release happening” in Nyksund june 2012. 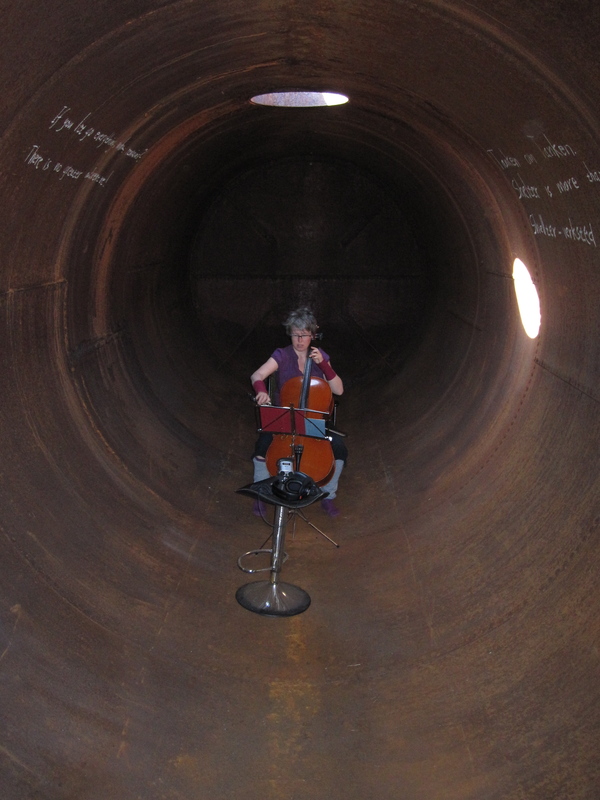 It has been truly amazing to see how the Tank has come to life with Majas music. 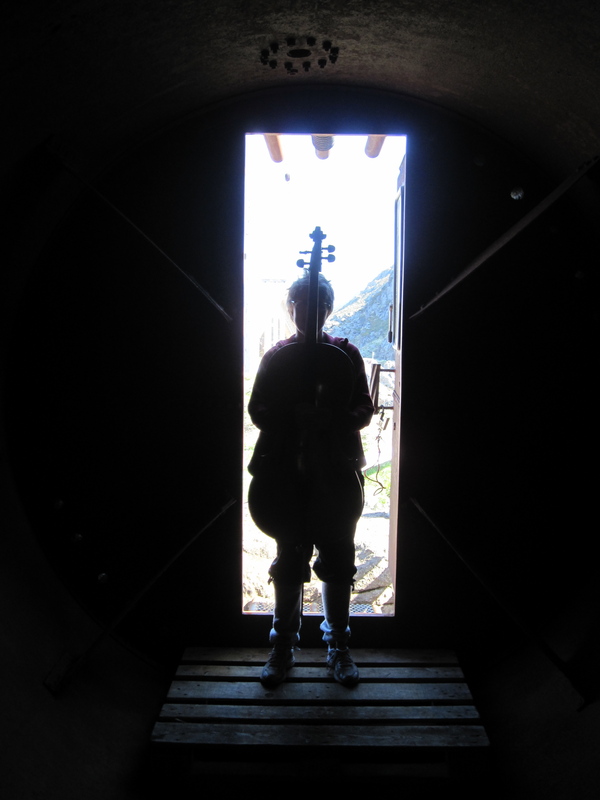 The first time I heard her play inside it I was so happy – I had to perform a little dance outside the door! My job has been as a facilitator and organizer; emptying the Tank, cleaning it – and putting some nice flowers by the entrance. It is such a good feeling to empty the Tank completely and remove the whole set-up I normally use as work and creative space. It´s kind of like emptying my own head from all disturbances and letting something new enter instead. This time it´s been Majas turn to fill the empty space. 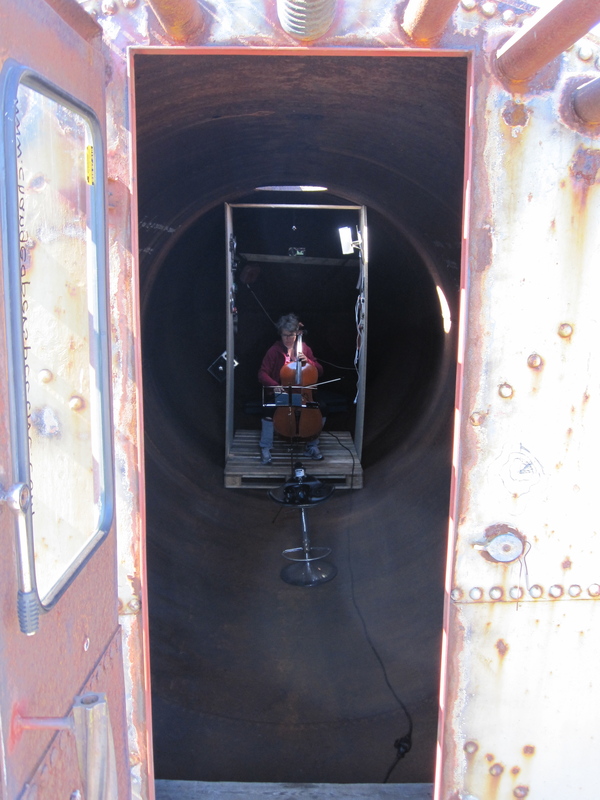 There is a fantastic contrast between the old rusty tank and Maja’s fragile, beautiful cello – it feels like a perfect balance. We discovered that you actually you don’t need to sit inside the tank to enjoy the music when performed live. Just sitting outside around the Tank is enough- as the Tank when played works like a huge amplifier. 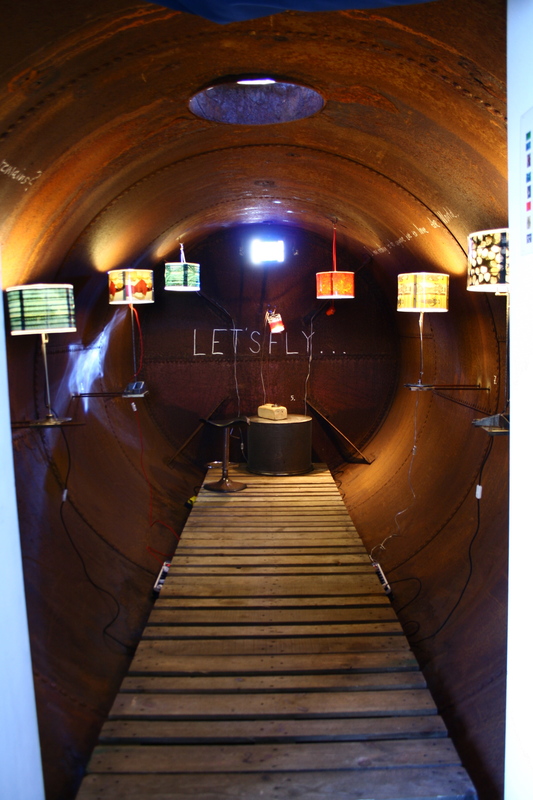 My own wish is to share this fifty cubic meters of rusty, creative space with other artists in order to work, inspire each other and last but not least have a super good time. So a huge, heartfelt thanks to Maja for sharing her ideas and creativity and using the Tank to make those ideas come to life! ”Everybody can sing and we can do it in a healthy way. 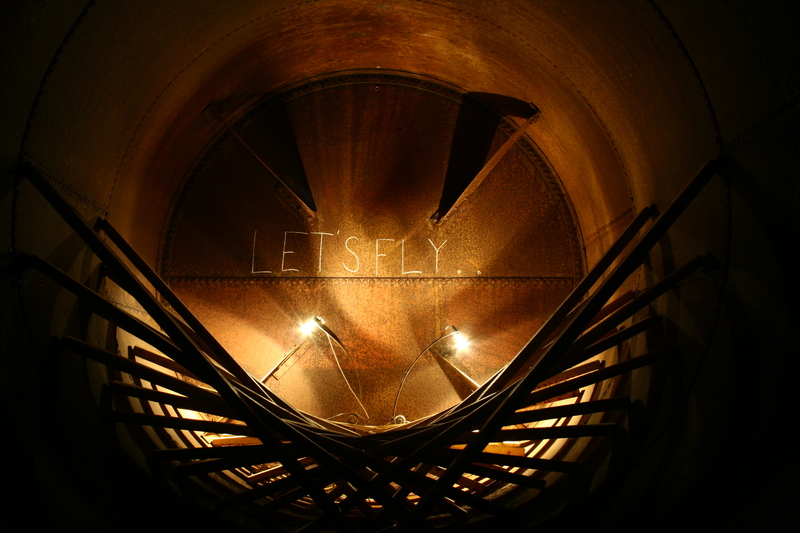 We were born with this ability.” These were the first words Berit presented to us. Four students with a love and curiosity for singing and one enthusiastic teacher made a fantastic atmosphere and a good team. We practiced breathing techniques in order to build a good fundation for producing a healthy sound. Beriy talked about The complete vocal technique. There are so many different sounds and effects one can produce! In the second part of the workshop we worked individually with the song each had chosen. It was just great to hear yourself and your colleages sing. Very inspiring and uplifting! Berit tried to sing in the Tank and was very positive to come back and lead the next vocal session in there. And we are very much looking forward to it.